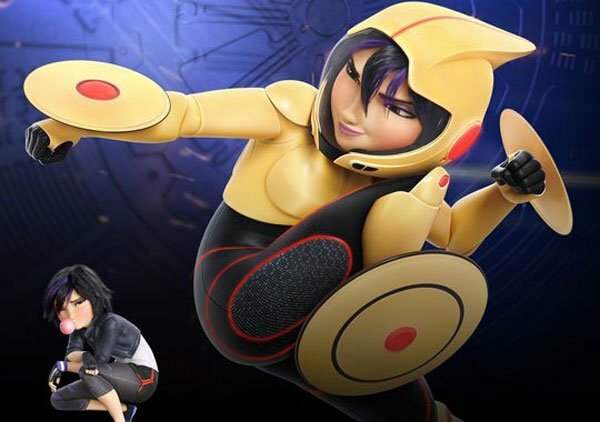 This fall, Disney and Marvel are joining forces for Big Hero 6, an animated adventure that hopes to appeal to audiences like Wreck-It Ralph and Frozen did. 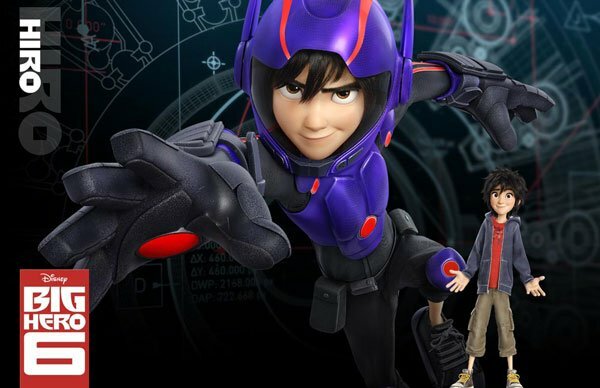 They've teased first footage and a look at Baymax and Hiro. But now we see both in action in this brief but charming TV spot. But that's not all. USA Today has shared a series of images, giving us our first look at the rest of the superhero team at the center of this colorful, comic-inspired cartoon. 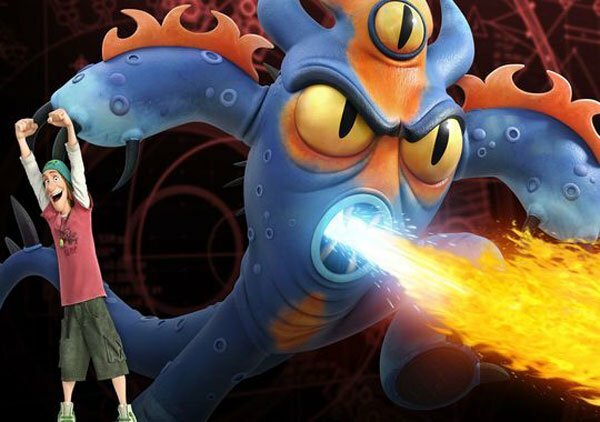 Ready to meet the heroes of Big Hero 6? Here's the rundown of the characters and their voice cast. First up is Baymax. Voiced by Scott Adsit (30 Rock), a nurse robot built by Hiro, who has been retrofitted to be a crime fighter. Next up is Supah Ninjas's Ryan Potter as Hiro in battle-mode. 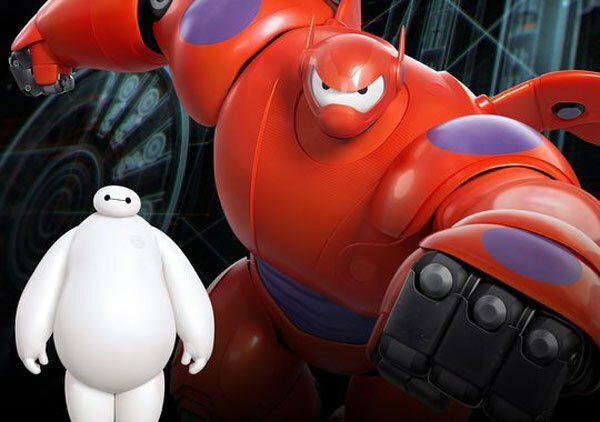 The half-Japanese, half-Caucasian 14-year-old whiz kid is Baymax's best friend, creator, and battle partner. See the red dot on his hand? It's made to magnetically link him to Baymax's battle armor. T.J. Miller, who appears in Transformers: Age of Extinction, plays Fred, a comic-book fanatic who gears up in a kaiju-inspired creature suit. Now that's some next-level cosplay! Then there's GoGo Tamago, a tough as nails industrial-engineering student whose superhero gear includes a bike that levitates thanks to magnetics, and those discs, which act as weapons. Lending her voice and "a laconic Clint Eastwood type" attitude to GoGo is Sin City: A Dame to Kill For's Jamie Chung. 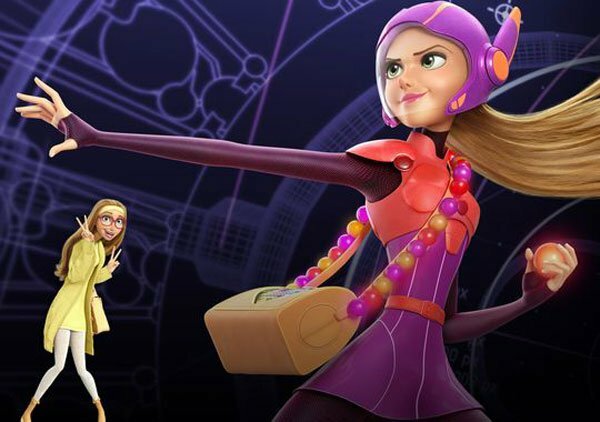 Bubbly as her name is chemistry student Honey Lemon, a sweet and upbeat girly girl with serious brains. Genesis Rodriguez (Identity Thief ) gives voice to this adorable geek girl. Lastly, we've got in the improbably named Wasabi, whose battle gear boasts laser-shooting bracers. 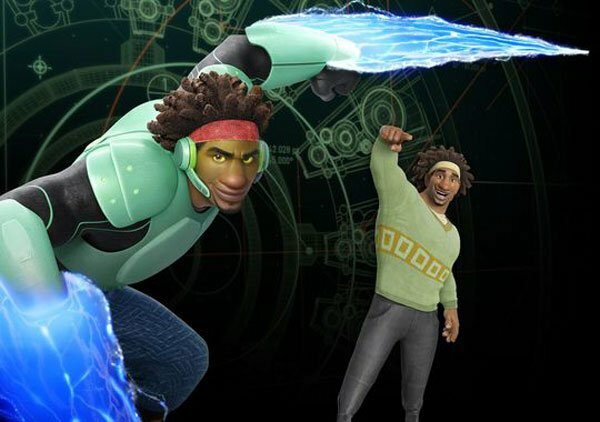 Described as a cautious rule-follower, Wasabi gets some spice to his performance thanks to New Girl's Daman Wayans Jr.
Big Hero 6 opens on November 7th. For a bit more of Baymax in action, click to the next page for a special Twitter teaser.